Ok, so I was challenged in my last post about this over the word “proof.” I agree. This isn’t proof, but I do think it’s a strong signal. 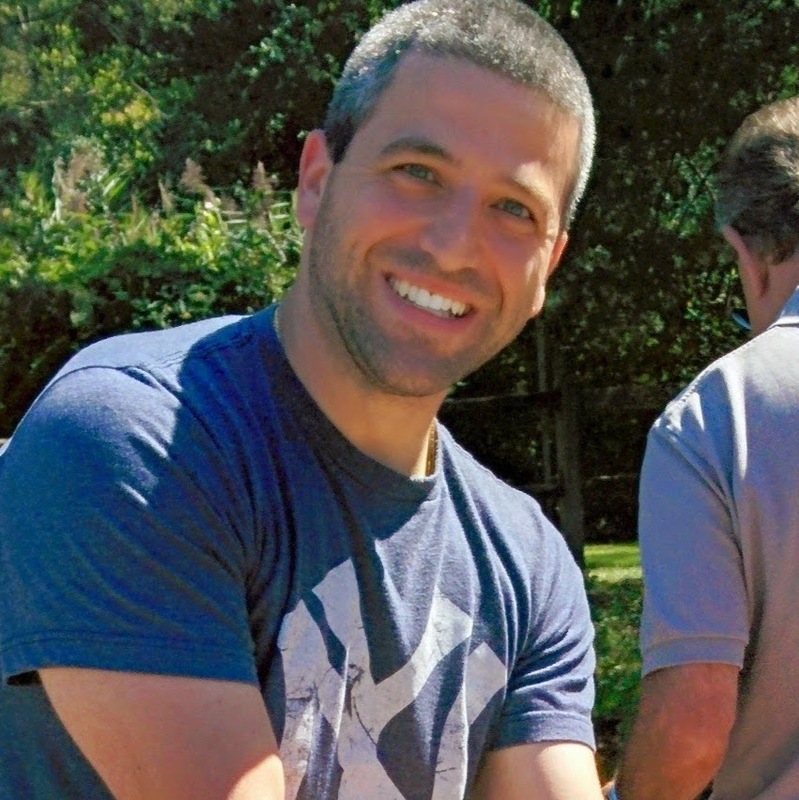 Take a look at this article. 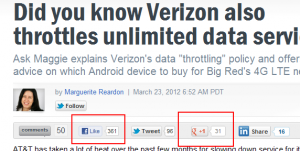 See how may facebook likes it got vs google +1s? More than 10x more Facebook likes. 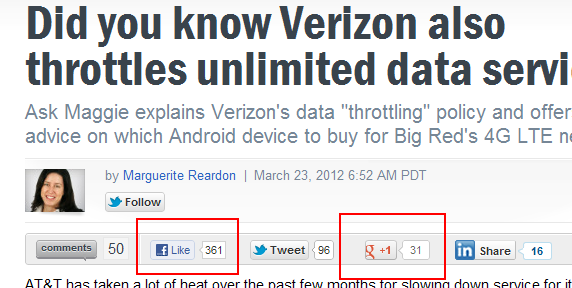 Only time will tell if G+ ever gets to Facebook popularity. Right now, I think the heavy users and evangelists are all in one giant echo chamber.